Since the '60s space travel has served as a metaphor for the abstraction of free jazz expressionism, with Sun Ra being only the most obvious antecedent. 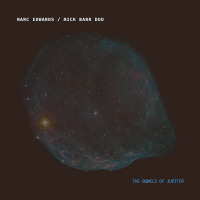 Drummer Marc Edwards draws inspiration from astronomy as much as science fiction, aided and abetted by guitarists Tor Snyder and Ernest Anderson III and multi-instrumentalist Jeffrey Hayden Shurdut, featured here on piano, in the latest incarnation of his Slipstream Time Travel ensemble. Edwards, who took a long break from the hardships of the jazz lifestyle after his initial exposure with Cecil Taylor and David S. Ware, has sported a reputation as a power drummer since his return, a trait stood down here in favor of timbral variation and more restrained propulsion. Snyder trades in effects-laden guitar colors, while fretboard partner Anderson scuttles and scrabbles across the booming sonic landscapes. Most prominent is Shurdut, whose repeated piano patterns and arpeggios alternate with occasional Taylor-esque excursions along the keyboard. Ode to a Dying Planet is another of Ayler Records' burgeoning download-only series, trading fast download times for mp3 sound quality. Each of the three 13-minute+ pieces explores a largely improvisational realm where even the sparse thematic material sounds extemporized and development is more in terms of overlapping textures than melodic or rhythmic progression. "Cygnus Loop Detail" hangs around a recurring piano figure with driving cymbals worrying the atmospheric guitars while "Ode to a Dying Planet" and "We're Lost in Space, Aren't We?" are more static, with the four instruments pursuing parallel but rarely intersecting paths, evoking doomy nebulous worlds. While not wishing to denigrate the intense group focus, more lead voices might boost them into sustained rather than fitful orbit. Track Listing: Ode to a Dying Planet; We're Lost in Space, Aren't We? ; Cygnus Loop Detail. 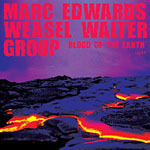 Personnel: Marc Edwards: drums; Jeffrey Hayden Shurdut: piano; Tor Snyder: guitar; Ernest Anderson III: guitar.